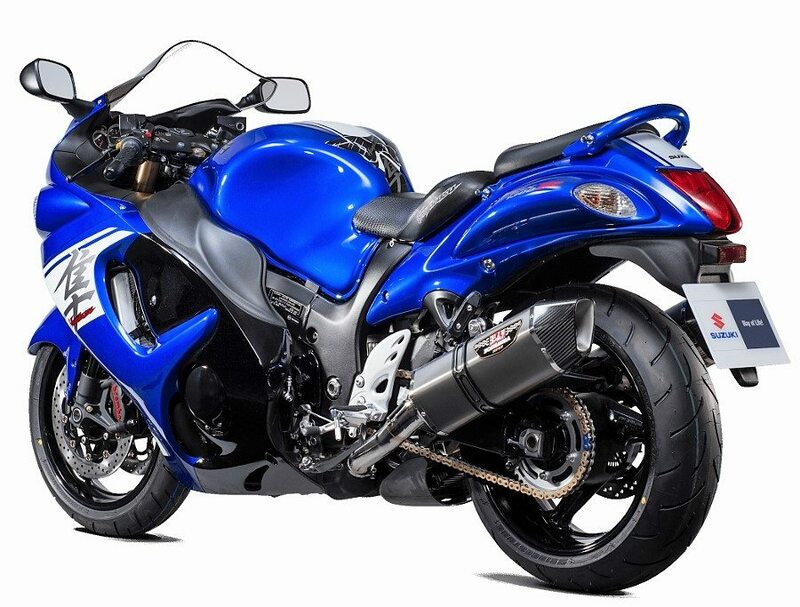 2018 Suzuki Hayabusa Z has been launched in the UK for £12,599 (INR 11.32 lakh approx). 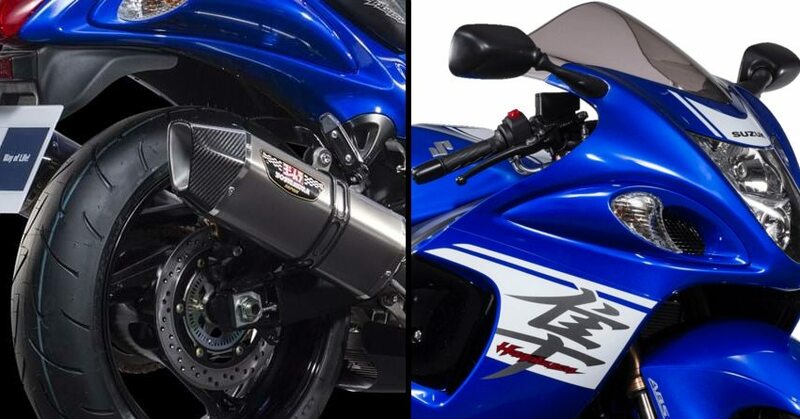 This special edition model is equipped with Yoshimura Hepta Force ‘titanium’ carbon tipped exhaust. 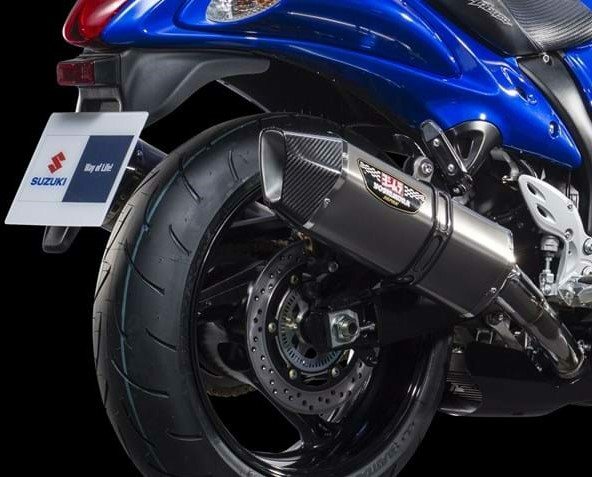 It retains the popular Brembo brakes and KYB upside downside forks. 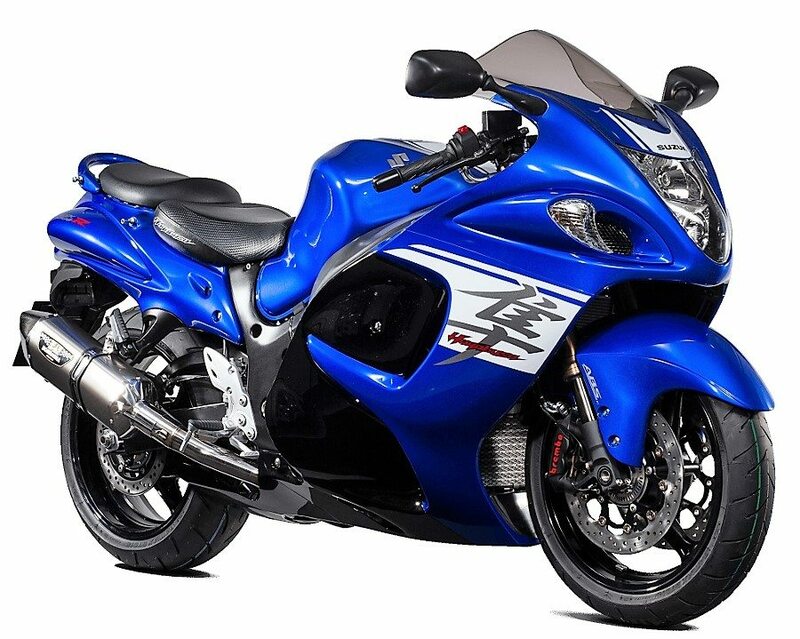 Hayabusa Z is available in Pearl Vigor Blue / Glass Sparkle Black shade only. The motorcycle is powered by a 1340cc, four cylinder engine producing 197 HP at 9500 rpm and 155 Nm at 7200 rpm. The engine comes mated to a 6-speed gearbox. The motorcycle weighs exactly same as standard version at 266 kg. 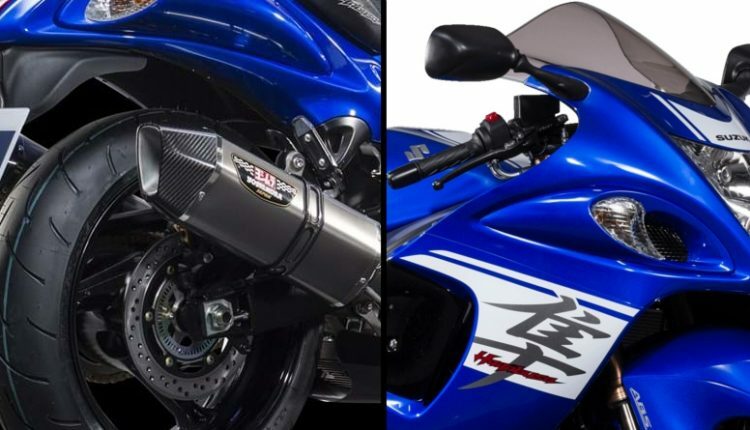 Buyers in the UK can avail low interest rate offer on Hayabusa Z.
India spec Suzuki Hayabusa comes with standard exhaust setup that can be replaced with Akrapovic or Yoshimura units from dealership itself. Hayabusa is available in India with an ex-showroom price tag of INR 13.87 lakh and can be bought in Black and White shade. 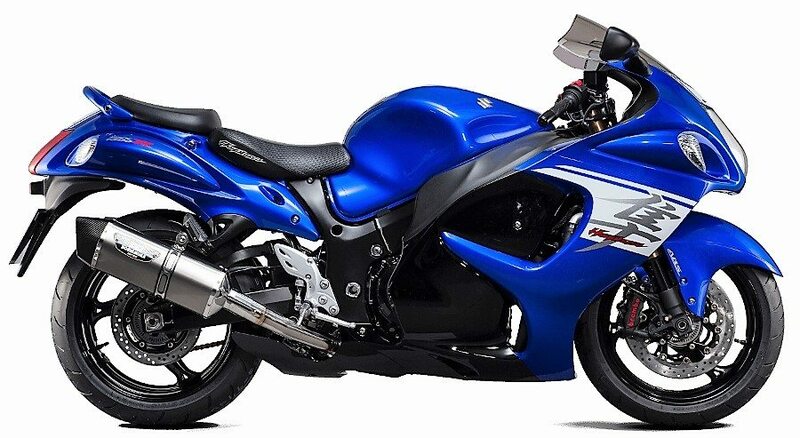 Hayabusa rivals Kawasaki Ninja ZX-14R but costs INR 6 lakh lower than the powerful Kawasaki four cylinder machine. Suzuki claims a top speed of 312 kmph for Hayabusa while sprint times of under 3 seconds till 100 kmph can be achieved in practical conditions. MCN recently revealed an almost production friendly rendering for 2019 Hayabusa.